Mercedes-Benz 300 SL. 16000 miles ONLY. Mushroom Leather 275. including Rear seats and lap belts. Electric windows, power steering, heat insulating glass, factory matching hardtop, central locking, electric passenger mirror, Alloy wheels. 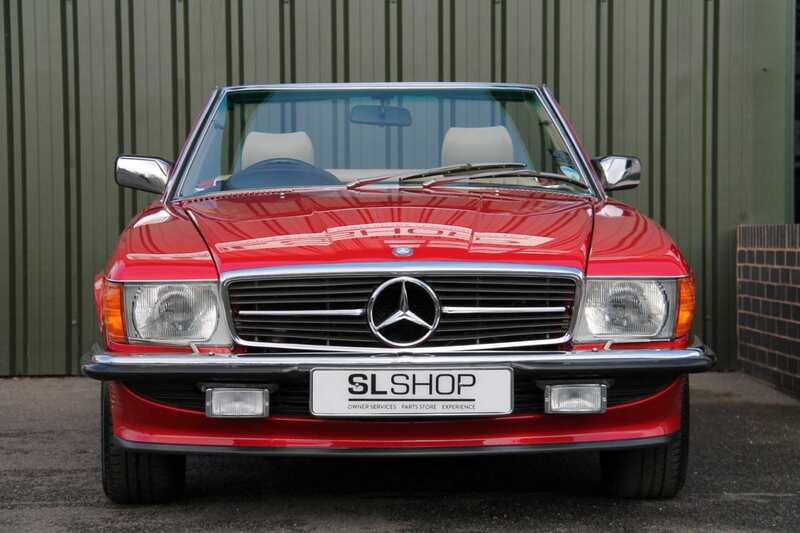 This very low mileage 16000 mile 300 SL has come out of a collection and we have now taken custody of it to bring for sale today. 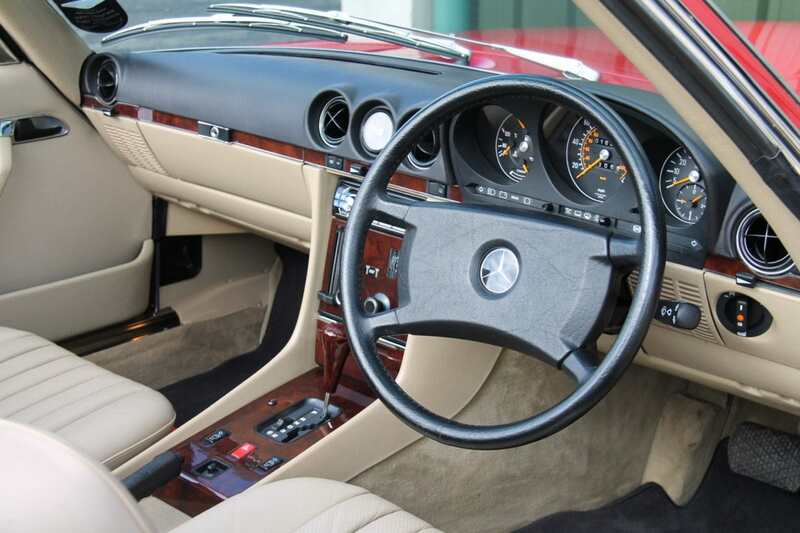 Signal Red paintwork combined with Mushroom leather is a treat in this condition to near perfection. 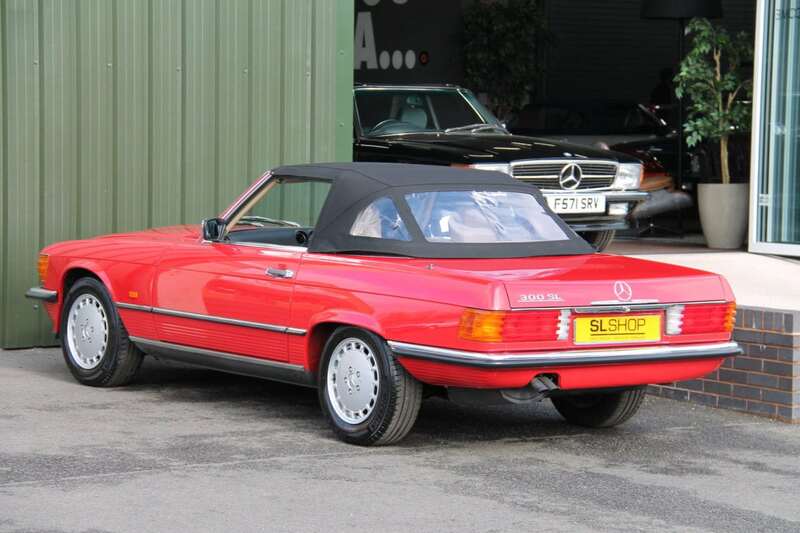 The combination of Air Conditioning, cruise Control make this a very good contender for a collector as it becomes very desirable with this specification. This was a factory collection car on the very last of production run August 1st 1989 G plate. There are a display of 16 service stamps and most all MOT certificates present with the dealer package of manuals, maps, spare keys, two roof handle keys, service booklet and plastic wallet. It also displays most all service work receipts and bills throughout its journey to us where we have now carried out a full service and re commission of the correct seals, fluids to near perfection.